Considering that Whitby is one of the busiest tourist hotspots all year round, helped by the hard working private enterprises in all areas, you would think that the service offered by our leaders and the cabinet in Scarborough Borough Council would bend over backwards to keep the constant taxpayers of Whitby sweet. Whitby is seriously lacking in investment in all areas, the most obvious is the essential work needed urgently to the harbour and especially the piers. Whereas in Scarborough the Scarborough Borough Council seem to have money to burn, namely the Futurist theatre taking up millions of taxpayers’ hard-earned cash in favour of private enterprise. 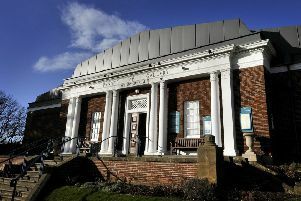 Next Monday, at 9.30am in the council chambers, the leaders and cabinet of Scarborough Borough Council will be meeting and the public gallery will be open. There will be a vote of No confidence in the Scarborough Borough Council leadership. A strong public attendance from us Whitby taxpayers might galvanise the meeting.